HorizonTech Falcon Head Coil is designed for HorizonTech Falcon Tank. There are the HorizonTech Falcon F1 Coil, Falcon F2 Coil, Falcon F3 Coil and Falcon M1 coil available. The Falcon F1 0.2ohm wood pulp coil is recommended for the wattage 70-90W. 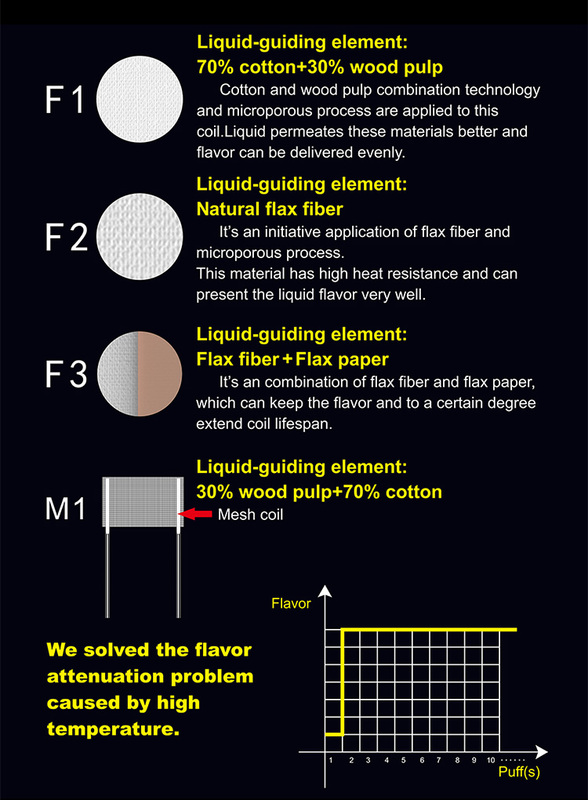 The Falcon F2 0.2ohm flax fiber coil is recommended for the wattage 70-90W. The HorizonTech Falcon F3 0.2ohm flax paper coil is best for the wattage 60-80W and the Falcon M1 Mash Coil best for 60-80W. Different kind of coils brings the different flavor and huge vapor. 3pcs in a pack.